In an effort to make quality secondary education more accessible in Iraq, Ericsson has partnered with Zain Iraq to bring its 'Connect to Learn' global education initiative to the country, with its initial deployment set for a school in Baghdad. The initiative aims to scale up quality secondary education for students and teachers by providing ICT infrastructure with mobile broadband, open source, and cloud-hosted learning solutions to facilitate connected learning in underserved schools. Ali Al Zahid, CEO, Zain Iraq, said: "Education is one of the most valuable investments we can make in society, and in our future. It is a universal human right - and in the digital era, where ICT has the ability to reach every corner of the globe, there is no excuse for quality secondary education to be inaccessible. By partnering with Ericsson to bring 'Connect to Learn' to schools in Iraq, we are uplifting our communities and empowering them to reach their full potential. We look forward to introducing this initiative in Baghdad and watching it unfold as we move forward." With the modern technology and solutions offered through 'Connect to Learn', ICT solutions become a cost-effective method for rural and limited-resource schools as a means of delivering quality education for students and teachers alike. Cloud technology enables support and maintenances tasks to be handled externally and remotely, which simplifies the user experience and enables teachers to focus on education. The system is also designed to be easily used and understood by teachers with limited IT competence, inspiring confidence and capability in them as educators. Rafiah Ibrahim, Head of Ericsson Middle East and Africa, Ericsson commented: "When a girl receives quality education, she will earn a decent living, raise a healthy, educated family, and improve the quality of life for herself, her family, and her community. 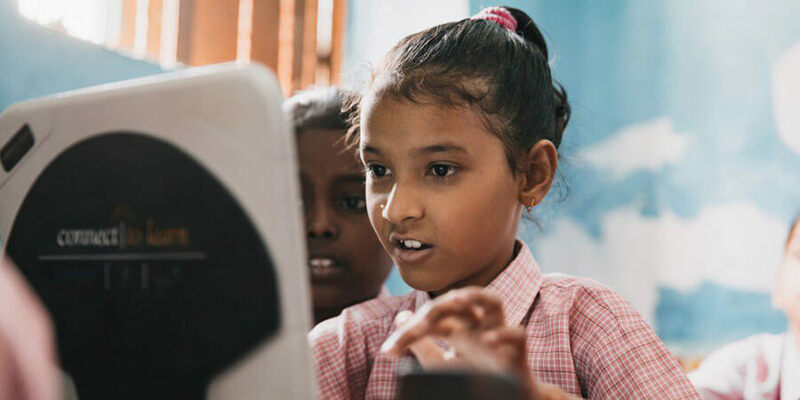 The 'Connect to learn' initiative aims to ensure that girls have access to quality education, regardless of their location or other limitations. We look forward to continue working with Zain Iraq to leverage our technology and the expertise of our employees to make a positive impact in Iraq." The 'Connect to Learn' initiative was launched in 2010 and is currently deployed in 25 countries, benefitting more than 120,000 students and engaging 16 mobile operators.